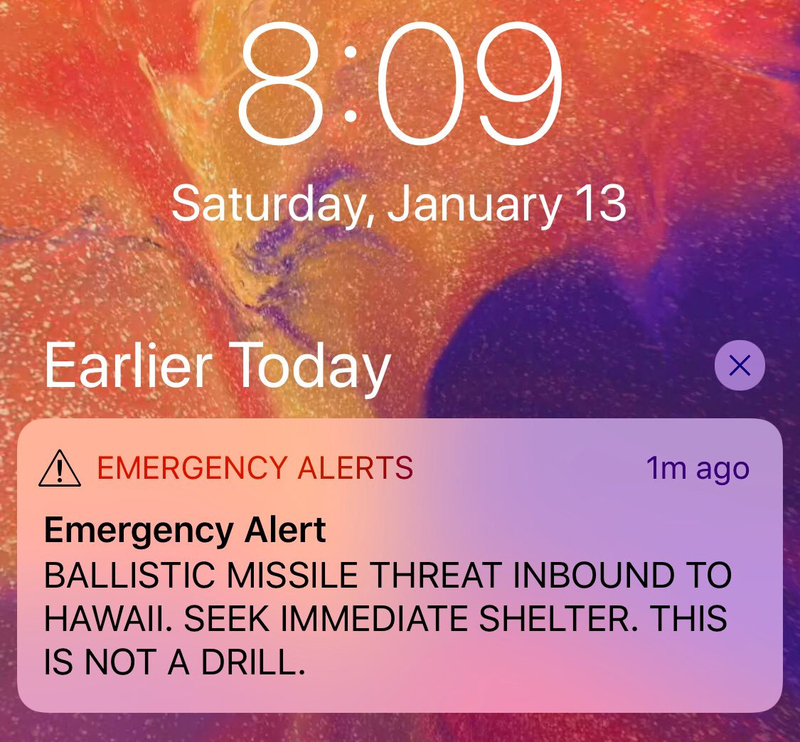 A false alarm warning of an incoming ballistic missile sent Hawaii — a popular destination for Japanese — into a panic Saturday, with some residents and visitors scrambling for safety in bathtubs, basements and even sewers until officials admitted the cellphone alert was a mistake. But despite the widespread panic, a number of Japanese tourists and residents of the island state interviewed by The Japan Times voiced a more composed reaction to the false alarm. Shintaro Wada, who was in Honolulu on vacation when the alarm rang out, said he at first thought it was an exercise, noting that he had seen news reports about periodic emergency drills there. Wada said the instructors and staff at the school “seemed calm,” despite being at Honolulu International Airport, which is located adjacent to the U.S. military’s Joint Base Pearl Harbor-Hickam. “I could see fighter jets and warships, and I thought this might be the most dangerous place to be in the event of an emergency or conflict,” Wada said. Experts say the base, headquarters for the U.S. military’s Pacific Command, would be a prime target for an attack by North Korea. Informed that experts believe it would likely take a little more than half an hour for a missile launched from North Korea to reach Hawaii, Gong expressed surprise but remained nonchalant. “That’s faster than I thought! But it’s enough time to evacuate,” she said. Kouki Shiomi, a pro golfer and resident of Funabashi, Chiba Prefecture, who was on vacation in Hawaii, said that while he was “a little surprised” by the alert, it was the reaction of others that left the biggest impression on him. 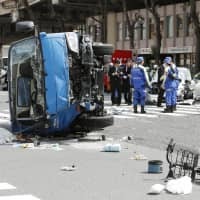 “I was in a taxi when the warning came, and, to be honest, I was pretty calm since in Japan, I’ve had plenty of experiences with alarms going off,” Shiomi said. Shortly after the alarm, video emerged of adults removing manhole covers and lowering children into sewers in a desperate attempt to escape what they believed was a ballistic missile hurtling their way. People broke into tears, told relatives they loved them and scattered back to their homes and hotels, unsure what to do next. The erroneous message came after months of heated tensions between Washington and Pyongyang, with North Korea claiming it had successfully tested long-range, nuclear-tipped missiles capable of striking anywhere in the United States. Local officials later apologized repeatedly, saying the alert had been sent when an employee of the state’s Emergency Management Agency had hit the “wrong button” during a shift change. 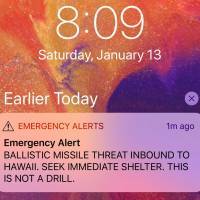 While the agency tweeted that there was no threat about 10 minutes after the warning, it was not officially rescinded for nearly 40 minutes, when a revised alert confirming the “false alarm” reached cellphones. 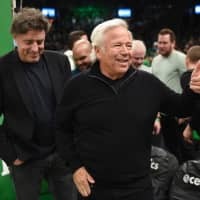 “We’ve spent the last few months trying to get ahead of this whole threat so that we could provide as much notification and preparation to the public. “We made a mistake,” he acknowledged during a televised news conference. “We’re going to take processes and study this so that this doesn’t happen again. With the threat of North Korean missiles on many people’s minds, the state reintroduced the Cold War-era warning siren tests last month in a move that drew international attention. 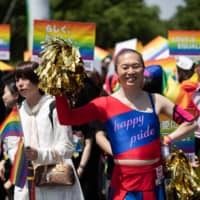 But Japanese like Shiomi — accustomed to years of earthquake warnings and, more recently, alerts about overflying North Korean missiles — have grown used to the ear-splitting alarms emitted by cellphones. Last year, North Korea lobbed two ballistic missiles over Hokkaido, stoking concern in Japan and prompting the nation’s J-Alert system to immediately kick in with text messages to every mobile phone in some areas and TV updates. Earthquake alerts — including false alarms — have been even more common, with the erroneous reports contributing to a growing and potentially dangerous sense of indifference among some. On Jan. 5, an erroneous quake alert was sent to the Kanto region and parts of Fukushima Prefecture, with alarms blaring out suddenly from cellphones and public speakers. That jolt, however, never came. Officials believe the alert was caused by the early warning system misreading two minor earthquakes as one larger one. “I don’t know if it is a sense of crisis or an obsession with life, or whether one is more accustomed to emergency situations, but the difference in the responses is fascinating,” she said. Japanese, Gong said, “are afraid” but “aren’t panicked” — a kind of “it cannot be helped” attitude. “We don’t call our family to say I love you. We still go to work,” she said.